Santa checks his list once last time as the elves busily prepare the sleigh. The bright colors and intricate details will make this image fun for any puzzler. 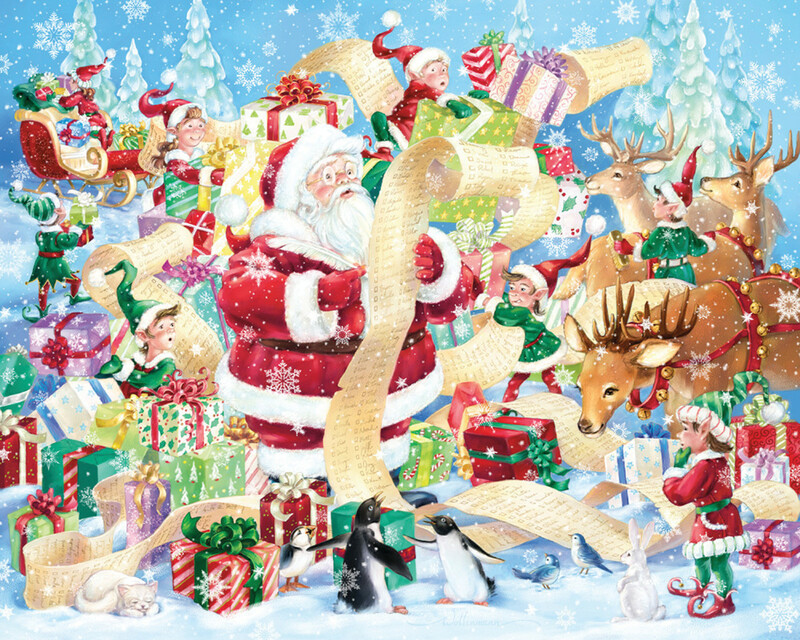 These beautifully illustrated jigsaw puzzles are perfect for passing the time in anticipation of Christmas. They also make great gifts for kids and adults alike! All of our signature puzzles are made in the United States with recycled materials ensuring quality craftsmanship. Puzzle includes 1000 pieces and measures 30"x24" when completed. Artwork by Randy Wollenmann.